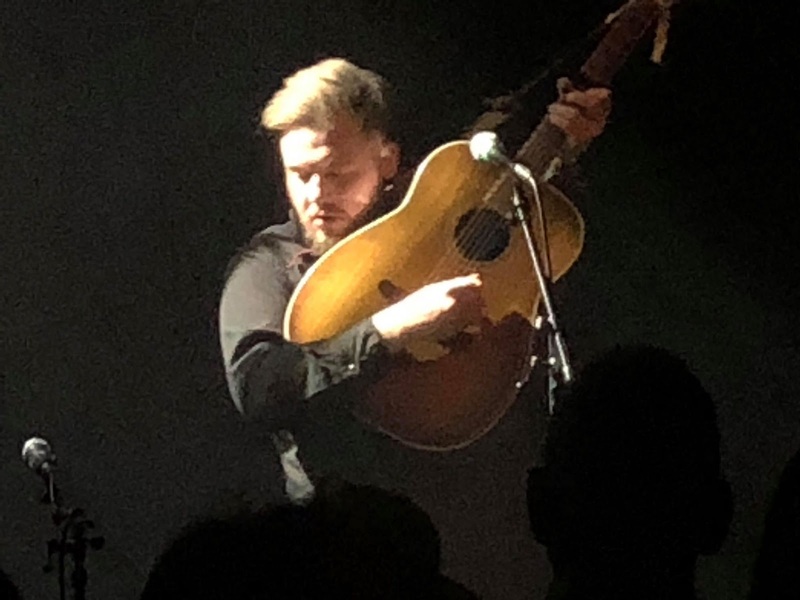 Liam’s set is exclusively taken from his new album Liam Frost Is The Latchkey Kid, his first in nearly a decade. There’s something amiss where many of the most revered Northern songwriters of our time (Garvey, Hawley, Bramwell and Fray) are huge fans and his songs should appeal to their audience, but such is the fickle and who you know not what you know nature of the industry that he hasn’t had the recognition he deserves yet. The Bury Met crowd are an attentive one and stand and listen and respond to the beautifully crafted songs from The Latchkey Kid, battered and bruised takes of love, life and escapism. The songs on the album are performed with a band, but here stripped back to an acoustic guitar, harmonica and an accented vocal (luv not love round these parts) the simple beauty of his craft shines through, distilling his own experiences into something the listener can relate to. That said none of us have had our videos chromecast to the tv screens in a pizza parlour as Liam explains happened to him the night before, or had people faint in the front row. He’s utterly charming in a disarming way and as the set progresses you can feel those in the audience who don’t know him warming to him. Maybe, just maybe, the recent trend for artists finding wider audiences after adulation from a convinced few will head Liam’s way. It couldn’t be more deserved. Right from the start of the show, Richard Hawley has the crowd eating out of the palm of their hand even before playing a note, joking about his pronunciation of the town’s name. He did this last year too, but such is the affection he’s held in no one minds and laugh with him. His dry Yorkshire wit goes down a storm, telling us he’s a sensitive guy before What Love Means, or a “soft c**t” as they say in Sheffield or retorting to an audience request for Run For Me with an off-the-cuff “with this leg?” and he deals with a pissed heckler with affection rather than curt put downs. At the end, after thanking us for turning out again and telling us his new album is ready, he uses the word friendship and it’s a compelling and heartfelt and very carefully selected one. We’re not here for Hawley the stand-up comedian though. You can hear a pin drop in the seconds of silence in these songs as he takes us through a career spanning set, although sadly no new material, with the audience hanging on every note. From the romanticism of Tonight The Streets Are Ours through to the cover of Sanford Clark’s Son Of A Gun, a song he learnt as a six year old, which he precedes by telling us how incredible it is that he ended up working with its composer Lee Hazelwood, Duane Eddy and Nancy Sinatra, everyone’s attention is fixed on the four men on stage. It’d be easy for Richard to turn up here and play things by numbers, but like any artist worth their salt, he treats it as more than a performance, wanting to give the audience something different to last time. To that end he tells us he searched everywhere for someone and then went next door where he found Martin Simpson who plays banjo throughout with “no refunds” he jokes. They play Baby You’re My Light off 2005’s Late Night Final with no real rehearsal and we wouldn’t have known had they not told us. There’s a genuine chemistry and bond between the four of them, a kindred spirit that runs through both Hawley’s mid-period songs like Lady Solitude, Just Like The Rain and Serious and the darker later years like Heart Of Oak and the boy standing on the precipe of Standing At The Sky’s Edge which feels even more tense and sombre in this rarefied atmosphere. There’s lots of nods to the songs that formed their style too. 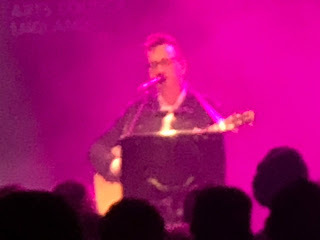 Roving Gambler, taught by Richard’s mum, and Troublesome Waters, by his father are both covered as is Buddy Holly’s Words Of Love on the 60th anniversary of his death. Best of all though is the macabre Long Black Veil, Lefty Frizzell’s tale of betrayal and death. The roars of appreciation at the end of the night tell their own story. 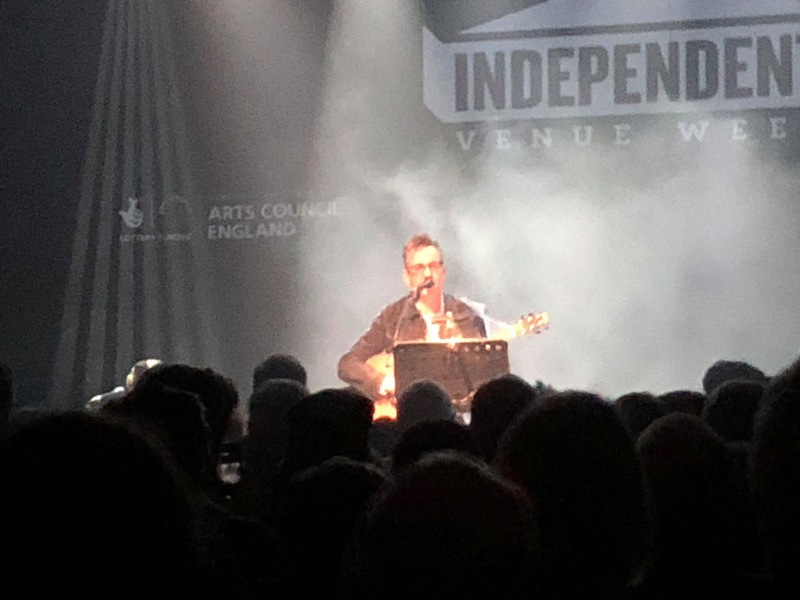 With a long absence from the live scene, it was a welcome return for Richard Hawley to the live scene away from the spotlight of a big album launch of new material with a friendly and intensely listening audience. In return they got a fine performance from the foursome, breathing new life and casting different shades on some of his best-loved work and that of his own favourite musicians. Liam Frost can be found on Facebook, Soundcloud, Youtube and Twitter. His website can be found here.